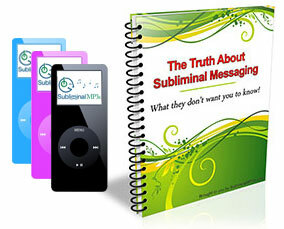 Develop the natural ability to wake up early, and on time - every time, with help from this mind penetrating subliminal messaging album. Have you ever experienced the phenomenon where you have set an alarm and it is crucial you wake up that day in particular on time. Perhaps an exam or important meeting is on your mind. When morning comes you "magically" wake up just a minute or two before your alarm. This happens to us all at some point or other - it is like our body knows when it needs to be up. Wouldn't it be great if it was in tune and knew every day! Well it can be! It is not your body that "knows", it is really your mind. You mind has a powerful internal clock and sense of time and it can be surprisingly accurate! Our subliminal messages penetrate into your mind to clear the clutter from your brain and to make sure your inner clock and senses are functioning at top level all of the time, so that you will naturally wake up at the right time, consistently. Have much more success at getting up on a morning. It will stop feeling like a chore, and just feel natural to wake up and get straight out of bed. Wake up at a regular time and become much more consistent in your waking time. Stop sleeping in, or sleeping through your alarm. You internal body clock will be "in-tune" and fully functioning. You will just instinctively "know" when you have to get up, and you will do so. As you first start using this album the first thing you will notice is feeling much fresh and alert on a morning when you first wake up. As you continue to listen, over the next couple of weeks you will notice yourself becoming more consistent in your waking up time, and that you manage to get up and out of bed when you should do much more often. Get started today with this album; become an early riser and become much more productive!